Record Hulu Streaming Video and Record Hulu Streaming TV! Launched by NBC and Fox, Hulu is an online video service that offers hit TV shows, movies and other online destination sites — all for free, anytime in the U.S. Hulu is focused on quality and convenience and strives to create the best possible online video experience. Most people already know how to record videos from YouTube, Google, Dailymotion, but are puzzled about how to record Hulu to iPod. Don’t worry, you can now record Hulu video with the Hulu Video Recorder – Any DVD Converter. The recorded Hulu videos can be transferred to your PC, iPod, iPhone, PSP that you can play them back again and again. 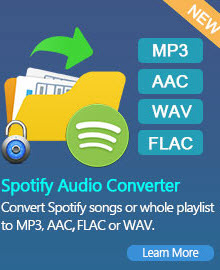 With Any DVD Converter, you can convert Hulu videos to AVI, WMV, M2TS, MKV, MP3, etc and burn Hulu videos to DVD. This Hulu Video Recorder is also perfect transfer video to PC, laptop, Tablets, Apple iPad, iPod, iPhone, Sony PSP, MP4 players, Zune, HTC, Android, BlackBerry, Nokia, Xbox, Smartphones, etc. Here’s a step by step guide to record videos from Hulu by using Hulu Video Recorder. Step One: Download, install and launch Hulu Video Recorder. Simply click Add Video button to import the downloaded Hulu video files from your hard drive. Batch video conversion and merging videos are supported. Step Two: Click Output Profile, select a proper output format from the drop-down list. This Hulu Video Recorder can convert Hulu video files to various video formats such as MPEG-4, AVI, WMV, SWF, 3GP, 3G2, MPEG-1, MPEG-2, ASF, etc. Step Three: Click Convert button to start recording Hulu videos in batch. If you want to stop the process, please click Stop button to halt the encoding. Step Four: Transfer the converted Hulu videos to your portable devices. As long as conversion is completed, click on “Output Folder” button in the interface to get the output files about Hulu videos, which then can be transferred to your portable devices. The iPod Touch MP4 player is a beautiful portable media center. 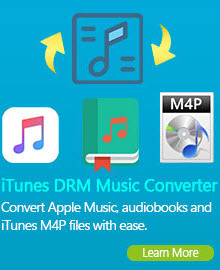 It can play AAC, Protected AAC, MP3, MP3 VBR, Audible 2, Audible 3, Audible 4, Apple Lossless, WAV, AIFF and MPEG-4. Specially designed for iPod touch users, the Hulu Video Recorder can perfectly convert Hulu video to MP4 format for your iPod Touch. Besides, this Hulu Video Recorder can as well convert high definition video and avchd video such as m2ts, ts trp, tp to MPEG-4 videos and mp3 audios for playback on your iPod Touch. 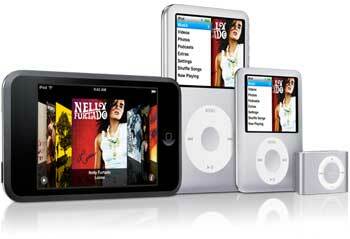 It also supports other type of iPod that plays video like iPod nano and iPod classic in addition to the 5th generation iPod. Moreover, you can also use it to capture pictures from Hulu video to share with your friends. Are you dying to watch Hulu movies on your Zune? Have you already had great numbers Hulu movies want to play on your Zune? No Problem. Any DVD Converter is an easy-to-use Hulu Video Recorder, which helps you record Hulu videos to Zune MP4/MPEG-4 and convert Hulu movies to Zune WMV video with outstanding image and sound quality. Hulu Video Recorder can record Hulu videos to MP4 and WMV for all models of Zune. This Hulu Video Recorder also can download and convert YouTube FLV videos for Zune, capture DV videos and convert to MP4 or WMV for Zune, and convert avi, asf, mov, mp4, 3gp, m4v, rm, rmvb, flv, mkv, mpg and vob for Zune. Plus, Hulu Video Recorder can also convert DVD for playback on iPod, iPhone, PSP, Apple TV and 3GP cell phones. Hulu Video Recorder cannot only record Hulu video to MP4, but also convert between many other video formats, such as avi, wmv, mp4, mts, flv, asf, etc. Hulu is a website and over-the-top (OTT) subscription service offering ad-supported on demand streaming video of TV shows, movies, webisodes and other new media, trailers, clips, and behind-the-scenes footage from NBC, Fox, ABC, and many other networks and studios. Hulu videos are currently offered only to users in the United States and its overseas territories. As the joint venture of NBC, FOX and ABC, Hulu owns the copyrights to stream those TV shows and movies free online legally. Hulu provides video in Flash Video format, including many films and shows that are available in 360p and 480p. Hulu also provides web syndication services for other websites including AOL, MSN, MySpace, Facebook, Yahoo!, and Comcast’s fancast.com.